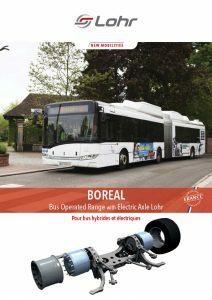 Boreal is a complete low floor electric axle able to satisfy requirements for bus retrofits or original equipment. 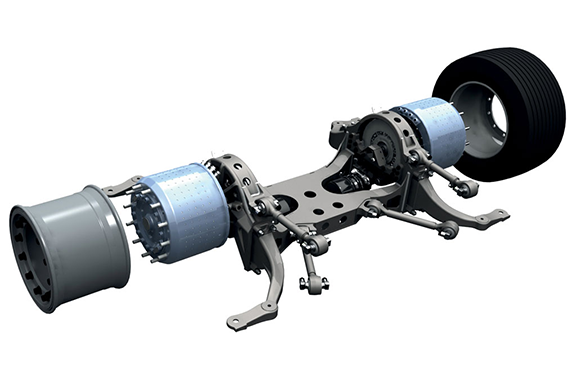 The innovation of this axle lies in its motor: housed inside the wheel it has no reduction gear, is silent and has a power of 100 kW (200 kW for the entire axle). garbage skips, car carriers, etc. Benefits of a solution "without reduction"
20% less on-board traction batteries. 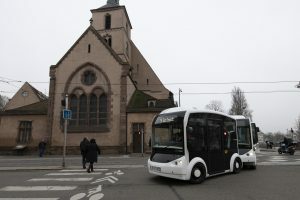 Boreal is equipping an 18 m hybrid bus belonging to Strasbourg public transport company (CTS) which will be in commercial operation from 2016.
load : 6.1t / wheel, with tyre 455/45 R 22.5.